Muslim people are so low they don’t even belong on this earth. I might call them an animal, but animals protect their young, so I can’t come up with a description for this. Malaysia Gazette reported that a father was charged with culpable homicide in the death of his daughter Nur Aina Nabihah Mohammad Abdullah, at their residence on Jan. 31. The victim was reported to be found unconscious at 11.30 p.m on 11 January before her father tried to perform Cardiopulmonary resuscitation (CPR) on her. Nur Aina was then taken to the Tuanku Ja’afar Hospital (TJH) in Seremban for treatment. However, the victim was pronounced dead at 12.30 a.m. It was reported that Aina died as a result of severe abuse, with a post-mortem examination determining that she had injuries to her kidneys, broken bones and other internal injuries. 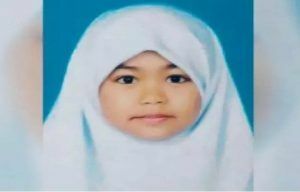 The death of the young Nur Aina received widespread media attention when the victim was suspected to be abused by her father and step-mother. 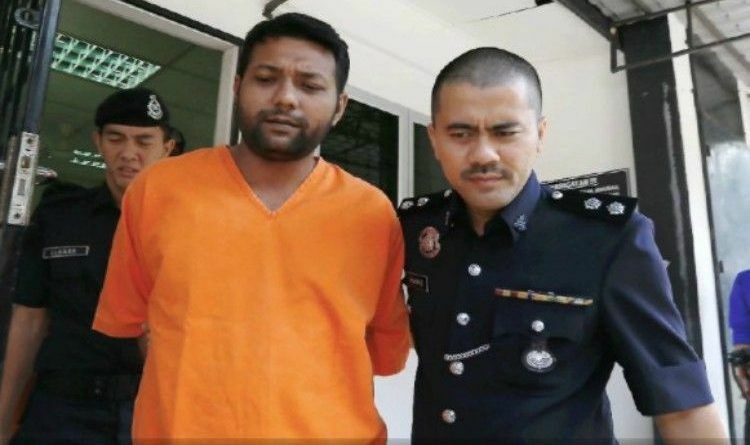 Port Dickson army sergeant Mohammad Abdullah Mohamed will be charged under Section 302 of the Penal Code which carries the mandatory death sentence upon conviction. Both the father and stepmother were arrested on Feb 1. The little girl has been treated like a ‘commando’ recruit, as she was regularly forced to do push-ups, sit-ups, and squats; and was routinely beaten, kicked and stomped on by her biological father. Port Dickson district police chief, Superintendent Zainudin Ahmad said the victim’s father admitted to forcing his daughter to do 500 push-ups. “It was believed that the victim has been abused since early last year to ‘cure’ her of her stubbornness,” Port Dickson district police chief added. This is awful! To do such a thing to a child??? How can anyone be so heartless? I wonder how cruel you must be to kill your own daughter? You can take the savage out of the country but you can take it out of the man. This is not the first time something like this happens and sadly it won’t be last. And this is just exactly what liberals have invited into our Country. And yet, I really don’t understand why is there even a question about denying entry into our country without serious vetting from these known terrorist countries? !